Celebrity’s Solstice-class ships are some of the most beautiful and distinctive megaships ever built, offering super-modern styling, sophisticated spas and relaxation areas, a wealth of fantastic dining options, beautifully designed staterooms and suites, and a vibe that feels much more upscale than you’d expect, given Celebrity’s competitive pricing. 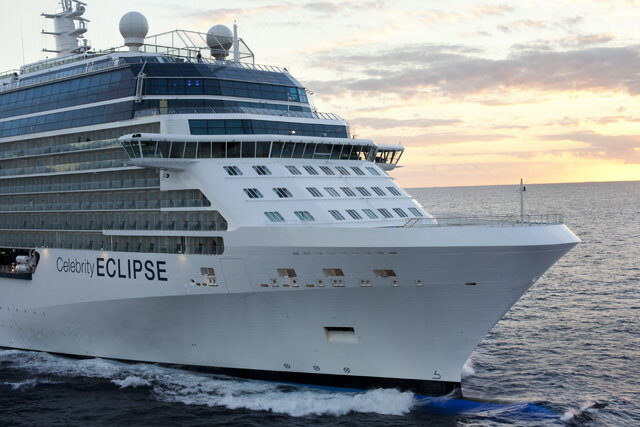 Launched in 2010, Celebrity Eclipse is the third of the Solstice-class ships. Measuring 122,000 gross tons and carrying 2,850 guests at double occupancy, she’s a huge but exceptionally well laid out vessel with an interior design that really flows from room to room, creating a unified feel. In both look and ambience, Eclipse is a slight evolution from the original experience established by earlier Solstice-class sisters Solstice and Equinox, featuring mostly the same mix of restaurants, entertainments, and amenities, but with some new innovations in dining, shopping, and activities — including the iLounge, a sleek, modern space dedicated to Apple products. Guests can surf the web at Macintosh workstations; buy the latest iPads, laptops, and accessories; or take a class taught by an Apple-certified professional. Real Grass on a ship! 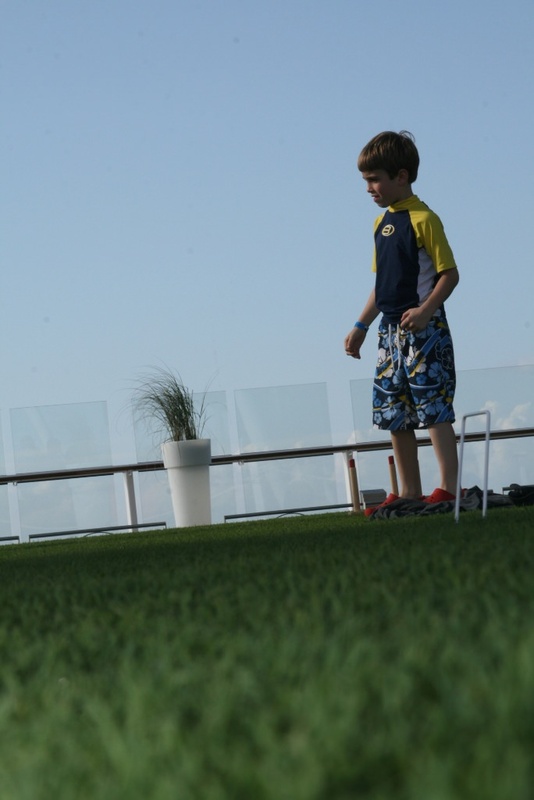 The most ballyhooed feature on Celebrity Solstice vessels, of course, was the Lawn Club, with real grass. I thought it was a joke when Celebrity first announced the half-acre grassy area on the top deck of the ship, but it simply works. The Lawn Club is a great place to relax, play croquet, putt, picnic, practice bocce or wiggle your toes in the cool blades of real grass. Perched at the very top of the ship, Eclipse’s most distinctive feature is definitely the Lawn Club, a half-acre of real grass that offering a quiet, country-club feel. Guests can play croquet, putt around some golf balls, play a game of bocce, or take a little picnic. At one end of the space, the world-famous Corning Museum of Glass has created a studio to present Hot Glass Shows, in which master artisans explain the art of glass-blowing during creative, high-energy performances centered around creating a finished vase, bowl, or other item. A couple decks down, Eclipse’s pool deck is one of the most serene and resort-like in the cruise industry, its two pools surrounded by 25-foot A-frame canopies that have luxurious day beds at their bases and large cantilevered awnings up top, providing shade for chaise lounges spread out along two decks. Forward of the pools is a glass-ceilinged, adults-only Solarium offering a lap pool, cushioned teak lounge chairs, and a super-relaxing atmosphere. Inside, Eclipse feels like a spread in an upscale lifestyles magazine. At the base of her atrium, translucent, backlit onyx panels and white drapes give a Miami hotel ambience, while fifty feet up a full-size, 20-foot tall tree sits suspended in a planter, adding a hint of surrealism. Other rooms run the upscale gamut, from the Napa-inspired Cellar Masters wine bar to the fashion-world Martini Bar and Crush — the former with a perpetually frosted bar, the latter with an ice-filled table from which bartenders dispense sample pairings of vodka and caviar. The ship’s AquaSpa is done in beautiful minimalist style, all clean lines and soothing colors. Besides massages, facials, and other traditional treatments, the spa menu includes acupuncture, teeth whitening, Botox wrinkle treatments, and other trendy options. For kids, there’s a large, light-filled children’s center and separate teen center near the very top of the ship. In all, Eclipse offers five restaurants plus a buffet and several snack and light-meal options. The main restaurant is the Moonlight Sonata, designed as a dreamy crystal fantasy by celebrity designer Adam Tihany. Another Tihany design, the Tuscan Grille, is an upscale steak-and-pasta venue. Qsine is a playful, imaginatively designed space serving food from an eclectic international menu, with an emphasis on creative presentation. 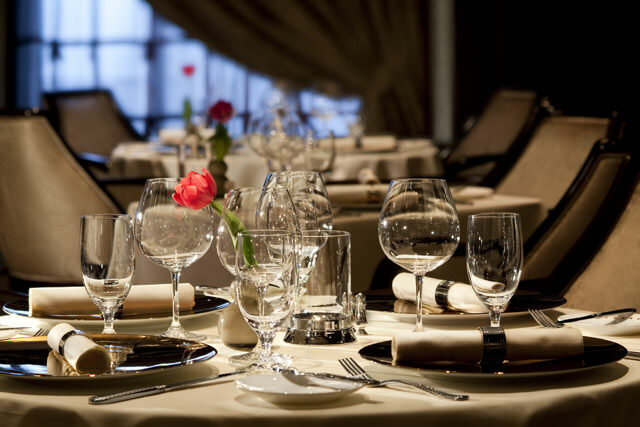 Murano serves continental cuisine in an elegant, romantic setting, while Blu serves light and healthy menu items to a clientele that’s drawn almost exclusively from guests booked into the ship’s spa-oriented AquaClass staterooms (plus other guests when there’s availability). After dinner, guests can head forward to the 1,115-guest Eclipse Theatre, which was designed with a rounded stage to bring performers closer to the audience, plus complex gear up above that lets aerialists fly out over the audience’s heads. Just down the corridor, the smaller Celebrity Central is a performance venue for late-night comedy shows, films, and other entertainment, while Quasar is the ship’s dedicated disco/nightclub, done up in a streamlined, space-age look. For a quieter vibe, you can hit the Ensemble Lounge, which offers after-dinner jazz, or Cellar Masters, a Napa-inspired space that does wine tastings by day and casual relaxation by night. Eclipse’s staterooms are an evolution of the standard cruise cabin, from their shape and ergonomic design to their thoughtful details and amenities. In all, Eclipse offers private balconies on 85% of her cabins, and each is big enough to fit two deck chairs and a table. Inside, in each standard stateroom, one wall bulges outward to give more maneuvering room around the foot of the bed, whose mattress is designed with rounded corners to make moving around it even easier. Beds are also higher than normal, allowing more luggage storage beneath, and are surrounded at the wall by a tall headboard that has an unobtrusive little cabinet that’s perfect for purses and other small items. In the bathrooms, the shower stalls are larger than the cruise ship norm and have little foot rails that make it easier for women to shave their legs. There’s also a nice collection of little drawers, cabinets, and other nooks for storing toiletries. Suites range from the 300-sq.-ft. Sky Suites, which are larger versions of the standard 194-foot veranda cabin, to the 1,291-square-foot Penthouse Suites, each of which has an enormous living room, wrap-around balcony with whirlpool tub, and palatial marble bathroom. Between her standard stateroom categories and her suites, Eclipse offers a middle ground in the form of her 130 adults-only AquaClass staterooms, which promote a “wellness” experience through things like special music/sound and aromatherapy options, jetted bodywash showers, pillow menus, and perks like free use of the spa’s Persian Garden aromatherapy steam room and relaxation room,. and access to the wellness restaurant Blu. 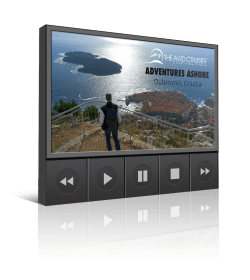 Avid Cruiser Posts, Photographs and Videos Featuring Celebrity Solstice. Is Celebrity Downgrading Its Main Dining Room Experience To Boost The Bottom Line In Its Specialty Restaurants? 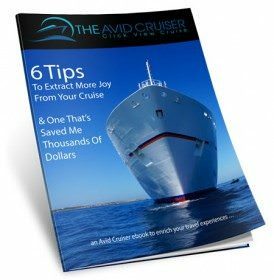 Want Help With Your Celebrity Cruise?